How do people’s cultural ideas and practices shape their emotions (and other types of feelings)? In this module, we will discuss findings from studies comparing North American (United States, Canada) and East Asian (Chinese, Japanese, Korean) contexts. These studies reveal both cultural similarities and differences in various aspects of emotional life. Throughout, we will highlight the scientific and practical importance of these findings and conclude with recommendations for future research. Take a moment and imagine you are traveling in a country you’ve never been to before. Everything—the sights, the smells, the sounds—seems strange. People are speaking a language you don’t understand and wearing clothes unlike yours. But they greet you with a smile and you sense that, despite the differences you observe, deep down inside these people have the same feelings as you. But is this true? Do people from opposite ends of the world really feel the same emotions? While most scholars agree that members of different cultures may vary in the foods they eat, the languages they speak, and the holidays they celebrate, there is disagreement about the extent to which culture shapes people’s emotions and feelings—including what people feel, what they express, and what they do during an emotional event. Understanding how culture shapes people’s emotional lives and what impact emotion has on psychological health and well-being in different cultures will not only advance the study of human behavior but will also benefit multicultural societies. Across a variety of settings—academic, business, medical—people worldwide are coming into more contact with people from foreign cultures. In order to communicate and function effectively in such situations, we must understand the ways cultural ideas and practices shape our emotions. In the 1950s and 1960s, social scientists tended to fall into either one of two camps. The universalist camp claimed that, despite cultural differences in customs and traditions, at a fundamental level all humans feel similarly. These universalists believed that emotions evolved as a response to the environments of our primordial ancestors, so they are the same across all cultures. Indeed, people often describe their emotions as “automatic,” “natural,” “physiological,” and “instinctual,” supporting the view that emotions are hard-wired and universal. The social constructivist camp, however, claimed that despite a common evolutionary heritage, different groups of humans evolved to adapt to their distinctive environments. And because human environments vary so widely, people’s emotions are also culturally variable. For instance, Lutz (1988) argued that many Western views of emotion assume that emotions are “singular events situated within individuals.” However, people from Ifaluk (a small island near Micronesia) view emotions as “exchanges between individuals” (p. 212). Social constructivists contended that because cultural ideas and practices are all-encompassing, people are often unaware of how their feelings are shaped by their culture. Therefore emotions can feel automatic, natural, physiological, and instinctual, and yet still be primarily culturally shaped. In the 1970s, Paul Ekman conducted one of the first scientific studies to address the universalist–social constructivist debate. He and Wallace Friesen devised a system to measure people’s facial muscle activity, called the Facial Action Coding System (FACS; Ekman & Friesen, 1978). Using FACS, Ekman and Friesen analyzed people’s facial expressions and identified specific facial muscle configurations associated with specific emotions, such as happiness, anger, sadness, fear, disgust. Ekman and Friesen then took photos of people posing with these different expressions (Figure 1). With the help of colleagues at different universities around the world, Ekman and Friesen showed these pictures to members of vastly different cultures, gave them a list of emotion words (translated into the relevant languages), and asked them to match the facial expressions in the photos with their corresponding emotion words on the list (Ekman & Friesen, 1971; Ekman et al., 1987). Across cultures, participants “recognized” the emotional facial expressions, matching each picture with its “correct” emotion word at levels greater than chance. This led Ekman and his colleagues to conclude that there are universally recognized emotional facial expressions. At the same time, though, they found considerable variability across cultures in recognition rates. For instance, whereas 95% of U.S. participants associated a smile with “happiness,” only 69% of Sumatran participants did. Similarly, 86% of U.S. participants associated wrinkling of the nose with “disgust,” but only 60% of Japanese did (Ekman et al., 1987). Ekman and colleagues interpreted this variation as demonstrating cultural differences in “display rules,” or rules about what emotions are appropriate to show in a given situation (Ekman, 1972). Indeed, since this initial work, Matsumoto and his colleagues have demonstrated widespread cultural differences in display rules (Safdar et al., 2009). One prominent example of such differences is biting one’s tongue. In India, this signals embarrassment; however, in the U.S. this expression has no such meaning (Haidt & Keltner, 1999). These findings suggest both cultural similarities and differences in the recognition of emotional facial expressions (although see Russell, 1994, for criticism of this work). Interestingly, since the mid-2000s, increasing research has demonstrated cultural differences not only in display rules, but also the degree to which people focus on the face (versus other aspects of the social context; Masuda, Ellsworth, Mesquita, Leu, Tanida, & Van de Veerdonk, 2008), and on different features of the face (Yuki, Maddux, & Matsuda, 2007) when perceiving others’ emotions. For example, people from the United States tend to focus on the mouth when interpreting others’ emotions, whereas people from Japan tend to focus on the eyes. But how does culture shape other aspects of emotional life—such as how people emotionally respond to different situations, how they want to feel generally, and what makes them happy? Today, most scholars agree that emotions and other related states are multifaceted, and that cultural similarities and differences exist for each facet. Thus, rather than classifying emotions as either universal or socially-constructed, scholars are now attempting to identify the specific similarities and differences of emotional life across cultures. These endeavors are yielding new insights into the effects of cultural on emotion. Given the wide range of cultures and facets of emotion in the world, for the remainder of the module we will limit our scope to the two cultural contexts that have received the most empirical attention by social scientists: North America (United States, Canada) and East Asia (China, Japan, and Korea). Social scientists have focused on North American and East Asian contexts because they differ in obvious ways, including their geographical locations, histories, languages, and religions. Moreover, since the 1980s large-scale studies have revealed that North American and East Asian contexts differ in their overall values and attitudes, such as the prioritization of personal vs. group needs (individualism vs. collectivism; Hofstede, 2001). Whereas North American contexts encourage members to prioritize personal over group needs (to be “individualistic”), East Asian contexts encourage members to prioritize group over personal needs (to be “collectivistic”). In a landmark paper, cultural psychologists Markus and Kitayama (1991) proposed that previously observed differences in individualism and collectivism translated into different models of the self—or one’s personal concept of who s/he is as a person. Specifically, the researchers argued that in North American contexts, the dominant model of the self is an independent one, in which being a person means being distinct from others and behaving accordingly across situations. In East Asian contexts, however, the dominant model of the self is an interdependent one, in which being a person means being fundamentally connected to others and being responsive to situational demands. For example, in a classic study (Cousins, 1989), American and Japanese students were administered the Twenty Statements Test, in which they were asked to complete the sentence stem, “I am ______,” twenty times. U.S. participants were more likely than Japanese participants to complete the stem with psychological attributes (e.g., friendly, cheerful); Japanese participants, on the other hand, were more likely to complete the stem with references to social roles and responsibilities (e.g., a daughter, a student) (Cousins, 1989). These different models of the self result in different principles for interacting with others. An independent model of self teaches people to express themselves and try to influence others (i.e., change their environments to be consistent with their own beliefs and desires). In contrast, an interdependent model of self teaches people to suppress their own beliefs and desires and adjust to others’ (i.e., fit in with their environment) (Heine, Lehman, Markus, & Kitayama, 1999; Morling, Kitayama, & Miyamoto, 2002; Weisz, Rothbaum, & Blackburn, 1984). Markus and Kitayama (1991) argue that these different models of self have significant implications for how people in Western and East Asian contexts feel. A considerable body of empirical research suggests that these different models of self shape various aspects of emotional dynamics. Next we will discuss several ways culture shapes emotion, starting with emotional response. How does culture influence people’s responses to emotional events? Studies of emotional response tend to focus on three components: physiology (e.g., how fast one’s heart beats), subjective experience (e.g., feeling intensely happy or sad), and facial expressive behavior (e.g., smiling or frowning). Although only a few studies have simultaneously measured these different aspects of emotional response, those that do tend to observe more similarities than differences in physiological responses between cultures. That is, regardless of culture, people tend to respond similarly in terms of physiological (or bodily) expression. For instance, in one study, European American and Hmong (pronounced “muhng”) American participants were asked to relive various emotional episodes in their lives (e.g., when they lost something or someone they loved; when something good happened) (Tsai, Chentsova-Dutton, Freire-Bebeau, & Przymus, 2002). At the level of physiological arousal (e.g., heart rate), there were no differences in how the participants responded. However, their facial expressive behavior told a different story. When reliving events that elicited happiness, pride, and love, European Americans smiled more frequently and more intensely than did their Hmong counterparts—though all participants reported feeling happy, proud, and in love at similar levels of intensity. And similar patterns have emerged in studies comparing European Americans with Chinese Americans during different emotion-eliciting tasks (Tsai et al., 2002; Tsai, Levenson, & McCoy, 2006; Tsai, Levenson, & Carstensen, 2000). Thus, while the physiological aspects of emotional responses appear to be similar across cultures, their accompanying facial expressions are more culturally distinctive. Again, these differences in facial expressions during positive emotional events are consistent with findings from cross-cultural studies of display rules, and stem from the models of self-description discussed above: In North American contexts that promote an independent self , individuals tend to express their emotions to influence others. Conversely, in East Asian contexts that promote an interdependent self, individuals tend to control and suppress their emotions to adjust to others. If the cultural ideal in North American contexts is to express oneself, then suppressing emotions (not showing how one feels) should have negative consequences. This is the assumption underlying hydraulic models of emotion: the idea that emotional suppression and repression impair psychological functioning (Freud, 1910). Indeed, significant empirical research shows that suppressing emotions can have negative consequences for psychological well-being in North American contexts (Gross, 1998). However, Soto and colleagues (2011) find that the relationship between suppression and psychological well-being varies by culture. True, with European Americans, emotional suppression is associated with higher levels of depression and lower levels of life satisfaction. (Remember, in these individualistic societies, the expression of emotion is a fundamental aspect of positive interactions with others.) On the other hand, since for Hong Kong Chinese, emotional suppression is needed to adjust to others (in this interdependent community, suppressing emotions is how to appropriately interact with others), it is simply a part of normal life and therefore not associated with depression or life satisfaction. These findings are consistent with research suggesting that factors related to clinical depression vary between European Americans and Asian Americans. European Americans diagnosed with depression show dampened or muted emotional responses (Bylsma, Morris, & Rottenberg, 2008). For instance, when shown sad or amusing film clips, depressed European Americans respond less intensely than their nondepressed counterparts.However, other studies have shown that depressed East Asian Americans (i.e., people of East Asian descent who live in the United States) demonstrate similar or increased emotional responses compared with their nondepressed counterparts (Chentsova-Dutton et al., 2007; Chentsova-Dutton, Tsai, & Gotlib, 2010). In other words, depressed European Americans show reduced emotional expressions, but depressed East Asian Americans do not—and, in fact, may express more emotion. Thus, muted responses (which resemble suppression) are associated with depression in European American contexts, but not in East Asian contexts. What about people’s subjective emotional experiences? Do people across cultures feel the same emotions in similar situations, despite how they show them? Recent studies indicate that culture affects whether people are likely to feel bad during good events. In North American contexts, people rarely feel bad after good experiences. However, a number of research teams have observed that, compared with people in North American contexts, people in East Asian contexts are more likely to feel bad and good (“mixed” emotions) during positive events (e.g., feeling worried after winning an important competition; Miyamoto, Uchida, & Ellsworth, 2010). This may be because, compared with North Americans, East Asians engage in more dialectical thinking (i.e., they are more tolerant of contradiction and change). Therefore, they accept that positive and negative feelings can occur simultaneously. In addition, whereas North Americans value maximizing positive states and minimizing negative ones, East Asians value a greater balance between the two (Sims, Tsai, Wang, Fung, & Zhang, 2013). To better understand this, think about how you would feel after getting the top score on a test that’s graded on a curve. In North American contexts, such success is considered an individual achievement and worth celebrating. But what about the other students who will now receive a lower grade because you “raised the curve” with your good grade? In East Asian contexts, not only would students be more thoughtful of the overall group’s success, but they would also be more comfortable acknowledging both the positive (their own success on the test) and the negative (their classmates’ lower grades). Again, these differences can be linked to cultural differences in models of the self. An interdependent model encourages people to think about how their accomplishments might affect others (e.g., make others feel bad or jealous). Thus, awareness of negative emotions during positive events may discourage people from expressing their excitement and standing out (as in East Asian contexts). Such emotional suppression helps individuals feel in sync with those around them. An independent model, however, encourages people to express themselves and stand out, so when something good happens, they have no reason to feel bad. So far, we have reviewed research that demonstrates cultural similarities in physiological responses and in the ability to suppress emotions. We have also discussed the cultural differences in facial expressive behavior and the likelihood of experiencing negative feelings during positive events. Next, we will explore how culture shapes people’s ideal or desired states. Everyone welcomes positive feelings, but cultures vary in the specific types of positive affective states (see Figure 2) their people favor. An affective state is essentially the type of emotional arousal one feels coupled with its intensity—which can vary from pleasant to unpleasant (e.g., happy to sad), with high to low arousal (e.g., energetic to passive). Although people of all cultures experience this range of affective states, they can vary in their preferences for each. For example, people in North American contexts lean toward feeling excited, enthusiastic, energetic, and other “high arousal positive” states. People in East Asian contexts, however, generally prefer feeling calm, peaceful, and other “low arousal positive” states (Tsai, Knutson, & Fung, 2006). These cultural differences have been observed in young children between the ages of 3 and 5, college students, and adults between the ages of 60 and 80 (Tsai, Louie, Chen, & Uchida, 2007; Tsai, Sims, Thomas, & Fung, 2013), and are reflected in widely-distributed cultural products. For example, wherever you look in American contexts—women’s magazines, children’s storybooks, company websites, and even Facebook profiles (Figure 3)—you will find more open, excited smiles and fewer closed, calm smiles compared to Chinese contexts (Chim, Moon, Ang, Tsai, 2013; Tsai, 2007;Tsai, Louie, et al., 2007). Again, these differences in ideal affect (i.e., the emotional states that people believe are best) correspond to the independent and interdependent models described earlier: Independent selves want to influence others, which requires action (doing something), and action involves high arousal states. Conversely, interdependent selves want to adjust to others, which requires suspending action and attending to others—both of which involve low arousal states. Thus, the more that individuals and cultures want to influence others (as in North American contexts), the more they value excitement, enthusiasm, and other high arousal positive states. And, the more that individuals and cultures want to adjust to others (as in East Asian contexts), the more they value calm, peacefulness, and other low arousal positive states (Tsai, Miao, Seppala, Fung, & Yeung, 2007). Figure 3: Sample Hong Kong Chinese (left) and European American (right) Facebook pages. Because one’s ideal affect functions as a guide for behavior and a way of evaluating one’s emotional states, cultural differences in ideal affect can result in different emotional lives. For example, several studies have shown that people engage in activities (e.g., recreational pastimes, musical styles) consistent with their cultural ideal affect. That is, people from North American contexts (who value high arousal affective states) tend to prefer thrilling activities like skydiving, whereas people from East Asian contexts (who value low arousal affective states) prefer tranquil activities like lounging on the beach (Tsai, 2007). In addition, people base their conceptions of well-being and happiness on their ideal affect. Therefore, European Americans are more likely to define well-being in terms of excitement, whereas Hong Kong Chinese are more likely to define well-being in terms of calmness. Indeed, among European Americans, the less people experience high arousal positive states, the more depressed they are. But, among Hong Kong Chinese—you guessed it!—the less people experience low arousal positive states, the more depressed they are (Tsai, Knutson, & Fung, 2006). What factors make people happy or satisfied with their lives? We have seen that discrepancies between how people actually feel (actual affect) and how they want to feel (ideal affect)—as well as people’s suppression of their ideal affect—are associated with depression. But happiness is based on other factors as well. For instance, Kwan, Bond, & Singelis (1997) found that while European Americans and Hong Kong Chinese subjects both based life satisfaction on how they felt about themselves (self-esteem) and their relationships (relationship harmony), their weighting of each factor was different. That is, European Americans based their life satisfaction primarily on self-esteem, whereas Hong Kong Chinese based their life satisfaction equally on self-esteem and relationship harmony. Consistent with these findings, Oishi and colleagues (1999) found in a study of 39 nations that self-esteem was more strongly correlated with life satisfaction in more individualistic nations compared to more collectivistic ones. Researchers also found that in individualistic cultures people rated life satisfaction based on their emotions more so than on social definitions (or norms). In other words, rather than using social norms as a guideline for what constitutes an ideal life, people in individualistic cultures tend to evaluate their satisfaction according to how they feel emotionally. In collectivistic cultures, however, people’s life satisfaction tends to be based on a balance between their emotions and norms (Suh, Diener, Oishi, & Triandis, 1998). Similarly, other researchers have recently found that people in North American contexts are more likely to feel negative when they have poor mental and physical health, while people in Japanese contexts don’t have this association (Curhan et al., 2013). Again, these findings are consistent with cultural differences in models of the self. In North American, independent contexts, feelings about the self matter more, whereas in East Asian, interdependent contexts, feelings about others matter as much as or even more than feelings about the self. Why Do Cultural Similarities And Differences In Emotion Matter? Understanding cultural similarities and differences in emotion is obviously critical to understanding emotions in general, and the flexibility of emotional processes more specifically. Given the central role that emotions play in our interaction, understanding cultural similarities and differences is especially critical to preventing potentially harmful miscommunications. Although misunderstandings are unintentional, they can result in negative consequences—as we’ve seen historically for ethnic minorities in many cultures. For instance, across a variety of North American settings, Asian Americans are often characterized as too “quiet” and “reserved,” and these low arousal states are often misinterpreted as expressions of disengagement or boredom—rather than expressions of the ideal of calmness. Consequently, Asian Americans may be perceived as “cold,” “stoic,” and “unfriendly,” fostering stereotypes of Asian Americans as “perpetual foreigners” (Cheryan & Monin, 2005). Indeed, this may be one reason Asian Americans are often overlooked for top leadership positions (Hyun, 2005). In addition to averting cultural miscommunications, recognizing cultural similarities and differences in emotion may provide insights into other paths to psychological health and well-being. For instance, findings from a recent series of studies suggest that calm states are easier to elicit than excited states, suggesting that one way of increasing happiness in cultures that value excitement may be to increase the value placed on calm states (Chim, Tsai, Hogan, & Fung, 2013). In this brief review, we’ve focused primarily on comparisons between North American and East Asian contexts because most of the research in cultural psychology has focused on these comparisons. However, there are obviously a multitude of other cultural contexts in which emotional differences likely exist. For example, although Western contexts are similar in many ways, specific Western contexts (e.g., American vs. German) also differ from each other in substantive ways related to emotion (Koopmann-Holm & Matsumoto, 2011). Thus, future research examining other cultural contexts is needed. Such studies may also reveal additional, uninvestigated dimensions or models that have broad implications for emotion. 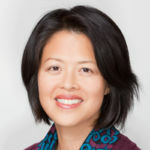 In addition, because more and more people are being raised within multiple cultural contexts (e.g., for many Chinese Americans, a Chinese immigrant culture at home and mainstream American culture at school), more research is needed to examine how people negotiate and integrate these different cultures in their emotional lives (for examples, see De Leersnyder, Mesquita, & Kim, 2011; Perunovic, Heller, & Rafaeli, 2007). How Are Cultural Differences in Beliefs About Emotion Transmitted? According to Kroeber and Kluckhohn (1952), cultural ideas are reflected in and reinforced by practices, institutions, and products. As an example of this phenomenon—and illustrating the point regarding cultural differences in ideal affect—bestselling children’s storybooks in the United States often contain more exciting and less calm content (smiles and activities) than do bestselling children’s storybooks in Taiwan (Tsai, Louie, et al., 2007). To investigate this further, the researchers randomly assigned European American, Asian American, and Taiwanese Chinese preschoolers to be read either stories with exciting content or stories with calm content. Across all of these cultures, the kids who were read stories with exciting content were afterward more likely to value excited states, whereas those who were read stories with calm content were more likely to value calm states. As a test, after hearing the stories, the kids were shown a list of toys and asked to select their favorites. Those who heard the exciting stories wanted to play with more arousing toys (like a drum that beats loud and fast), whereas those who heard the calm stories wanted to play with less arousing toys (like a drum that beats quiet and slow). These findings suggest that regardless of ethnic background, direct exposure to storybook content alters children’s ideal affect. More studies are needed to assess whether a similar process occurs when children and adults are chronically exposed to various types of cultural products. As well, future studies should examine other ways cultural ideas regarding emotion are transmitted (e.g., via interactions with parents and teachers). Could These Cultural Differences Be Due to Temperament? An alternative explanation for cultural differences in emotion is that they are due to temperamental factors—that is, biological predispositions to respond in certain ways. (Might European Americans just be more emotional than East Asians because of genetics?) Indeed, most models of emotion acknowledge that both culture and temperament play roles in emotional life, yet few if any models indicate how. Nevertheless, most researchers believe that despite genetic differences in founder populations (i.e., the migrants from a population who leave to create their own societies), culture has a greater impact on emotions. For instance, one theoretical framework, Affect Valuation Theory, proposes that cultural factors shape how people want to feel (“ideal affect”) more than how they actually feel (“actual affect”); conversely, temperamental factors influence how people actually feel more than how they want to feel (Tsai, 2007) (see Figure 4). To test this hypothesis, European American, Asian American, and Hong Kong Chinese participants completed measures of temperament (i.e., stable dispositions, such as neuroticism or extraversion), actual affect (i.e., how people actually feel in given situations), ideal affect (i.e., how people would like to feel in given situations), and influential cultural values (i.e., personal beliefs transmitted through culture). When researchers analyzed the participants’ responses, they found that differences in ideal affect between cultures were associated more with cultural factors than with temperamental factors (Tsai, Knutson, & Fung, 2006). However, when researchers examined actual affect, they found this to be reversed: actual affect was more strongly associated with temperamental factors than cultural factors. Not all of the studies described above have ruled out a temperamental explanation, though, and more studies are needed to rule out the possibility that the observed group differences are due to genetic factors instead of, or in addition to, cultural factors. Moreover, future studies should examine whether the links between temperament and emotions might vary across cultures, and how cultural and temperamental factors work together to shape emotion. Figure 4: Affect valuation theory. Thicker lines indicate stronger predicted relationships. Based on studies comparing North American and East Asian contexts, there is clear evidence for cultural similarities and differences in emotions, and most of the differences can be traced to different cultural models of the self. Consider your own concept of self for a moment. What kinds of pastimes do you prefer—activities that make you excited, or ones that make you calm? What kinds of feelings do you strive for? What is your ideal affect? Because emotions seem and feel so instinctual to us, it’s hard to imagine that the way we experience them and the ones we desire are anything other than biologically programmed into us. However, as current research has shown (and as future research will continue to explore), there are myriad ways in which culture, both consciously and unconsciously, shapes people’s emotional lives. What cultural ideas and practices related to emotion were you exposed to when you were a child? What cultural ideas and practices related to emotion are you currently exposed to as an adult? How do you think they shape your emotional experiences and expressions? How can researchers avoid inserting their own beliefs about emotion in their research? Most of the studies described above are based on self-report measures. What are some of the advantages and disadvantages of using self-report measures to understand the cultural shaping of emotion? How might the use of other behavioral methods (e.g., neuroimaging) address some of these limitations? Do the empirical findings described above change your beliefs about emotion? How? Imagine you are a manager of a large American company that is beginning to do work in China and Japan. How will you apply your current knowledge about culture and emotion to prevent misunderstandings between you and your Chinese and Japanese employees? Feelings that can be described in terms of two dimensions, the dimensions of arousal and valence (Figure 2). For example, high arousal positive states refer to excitement, elation, and enthusiasm. Low arousal positive states refer to calm, peacefulness, and relaxation. Whereas “actual affect” refers to the states that people actually feel, “ideal affect” refers to the states that people ideally want to feel. Shared, socially transmitted ideas (e.g., values, beliefs, attitudes) that are reflected in and reinforced by institutions, products, and rituals. Changes in subjective experience, physiological responding, and behavior in response to a meaningful event. Emotions tend to occur on the order of seconds (in contract to moods which may last for days). A general term used to describe a wide range of states that include emotions, moods, traits and that typically involve changes in subjective experience, physiological responding, and behavior in response to a meaningful event. Emotions typically occur on the order of seconds, whereas moods may last for days, and traits are tendencies to respond a certain way across various situations. A model or view of the self as distinct from others and as stable across different situations. The goal of the independent self is to express and assert the self, and to influence others. This model of self is prevalent in many individualistic, Western contexts (e.g., the United States, Australia, Western Europe). A model or view of the self as connected to others and as changing in response to different situations. The goal of the interdependent self is to suppress personal preferences and desires, and to adjust to others. This model of self is prevalent in many collectivistic, East Asian contexts (e.g., China, Japan, Korea). Social constructivism proposes that knowledge is first created and learned within a social context and is then adopted by individuals. Universalism proposes that there are single objective standards, independent of culture, in basic domains such as learning, reasoning, and emotion that are a part of all human experience. Bylsma, L., Morris, B., & Rottenberg, J. (2008). A meta-analysis of emotional reactivity in major depressive disorder. Clinical Psychology Review, 28(4), 676–691. Chentsova-Dutton, Y. E., Chu, J. P., Tsai, J. L., Rottenberg, J., Gross, J. J., & Gotlib, I. H. (2007). Depression and emotional reactivity: Variation among Asian Americans of East Asian descent and European Americans. Journal of Abnormal Psychology, 116(4), 776–785. Chentsova-Dutton, Y. E., Tsai, J. L., & Gotlib, I. (2010). Further evidence for the cultural norm hypothesis: Positive emotion in depressed and control European American and Asian American women. Cultural Diversity and Ethnic Minority Psychology, 16, 284–295. Cheryan, S., & Monin, B. (2005). Where are you really from? : Asian Americans and identity denial. Journal of personality and social psychology, 89(5), 717–731. Chim, L., Moon, A., Ang, J., & Tsai, J. L. (2013). Magazine ads, Facebook pages, and company websites reflect cultural differences in ideal affect. In T. Masuda (Chair). Culture and mind: Implications for art, design, and advertising. Symposium held at International Association for Cross-Cultural Psychology, Los Angeles, CA. Chim, L., Tsai, J.L., Hogan, C., & Fung, H. H. (2013). Enhancing happiness by valuing calm. Manuscript in preparation. Cousins, S. D. (1989). Culture and self-perception in Japan and the United States. Journal of Personality and Social Psychology, 56(1), 124–131. Curhan, K., Sims, T., Markus, H., Kitayama, S., Karasawa, M., Kawakami, N., . . . Ryff, C. (2013). Negative affect predicts worse physical and mental health in the U.S. than in Japan. Manuscript under review. De Leersnyder, J., Mesquita, B., & Kim, H. S. (2011). Where do my emotions belong? A study of immigrants‚Äô emotional acculturation. Personality and Social Psychology Bulletin, 37(4), 451–463. Ekman, P. (1972). Universals and Cultural Differences in Facial Expressions of Emotion. Paper presented at the Nebraska Symposium on Motivation. Ekman, P., & Friesen, W. (1978). Facial Action Coding System: A Technique for the Measurement of Facial Movement. Palo Alto, CA: Consulting Psychologists Press. Ekman, P., Friesen, W., O\'Sullivan, M., Chan, D., Diacoyanni-Tarlatzis, I., Heider, K., . . . Tzavaras, A. (1987). Universals and cultural differences in the judgments of facial expressions of emotion. Journal of Personality and Social Psychology, 53, 712–717. Freud, S. (1910). Five lectures on psycho-analysis. (Vol. XI). London: Hogarth Press. Gross, J. J. (1998). Antecedent- and response-focused emotion regulation: Divergent consequences for experience, expression, and physiology. Journal of personality and social psychology, 74(1), 224–237. Haidt, J., & Keltner, D . (1999). Culture an d facial expression : Open-ended methods find more faces and a gradient of recognition. Cognition and Emotion, 13, 225-266. Heine, S., Lehman, D., Markus, H., & Kitayama, S. (1999). Is there a universal need for positive self-regard? Psychological Review, 106(4), 766–794. Hofstede, G. (2001). Culture\'s Consequences: comparing values, behaviors, institutions, and organizations across nations (2nd ed.). Thousand Oaks, CA: SAGE Publications. Hyun, J. (2005). Breaking the bamboo ceiling: Career strategies for Asians. New York. Harper Collins. Koopmann-Holm, B., & Matsumoto, D. (2011). Values and display rules for specific emotions. Journal of Cross-Cultural Psychology, 42(3), 355–371. Kroeber, A.L. & Kluckhohn, C. (1952). Culture: A critical review of concepts and definitions. Papers. Peabody Museum of Archaeology & Ethnology, Harvard University, 47, (viii), 223. Kwan, V., Bond, M., & Singelis, T. (1997). Pancultural explanations for life satisfaction: Adding relationship harmony to self-esteem. Journal of Personality and Social Psychology, 73(5), 1038–1051. Lutz, C. (1988). Unnatural emotions: Everyday sentiments on a Micronesian atoll and their challenge to Western theory. Chicago, IL: University of Chicago Press. Morling, B., Kitayama, S., & Miyamoto, Y. (2002). Cultural practices emphasize influence in the United States and adjustment in Japan. Personality and Social Psychology Bulletin, 28, 311–323. Oishi, S., Diener, E. F., Lucas, R. E., & Suh, E. M. (1999). Cross-cultural variations in predictors of life satisfaction: Perspectives from needs and values. Personality and Social Psychology Bulletin, 25(8), 980–990. Perunovic, W., Heller, D., & Rafaeli, E. (2007). Within-person changes in the structure of emotion: The role of cultural identification and language. Psychological Science, 18, 607–613. Safdar, S., Friedlmeier, W., Matsumoto, D., Yoo, S. H., Kwantes, C. T., Kakai, H., & Shigemasu, E. (2009). Variations of emotional display rules within and across cultures: A comparison between Canada, USA, and Japan. Canadian Journal of Behavioural Science/Revue canadienne des sciences du comportement, 41(1), 1–10. Sims, T., Tsai, J., Wang, I., Fung, H. H., & Zhang, X. L. (2013). Whether you experience the bad with the good depends on how you want to feel: Understanding cultural differences in the relationship between positive and negative affect. Manuscript in progress. Soto, J., Perez, C., Kim, Y. H., Lee, E., & Minnick, M. (2011). Is expressive suppression always associated with poorer psychological functioning? A cross-cultural comparison between European Americans and Hong Kong Chinese. Emotion, 11(6), 1450–1455. Suh, E., Diener, E., Oishi, S., & Triandis, H. (1998). The shifting basis of life satisfaction judgments across cultures: Emotions versus norms. Journal of Personality and Social Psychology, 74(2), 482. Tsai, J. L., Knutson, B., & Fung, H. H. (2006). Cultural variation in affect valuation. Journal of Personality and Social Psychology, 90, 288–307. Tsai, J. L., Levenson, R. W., & Carstensen, L. L. (2000). Autonomic, subjective, and expressive responses to emotional films in older and younger Chinese Americans and European Americans. Psychology and Aging, 15(4), 684–693. Tsai, J. L., Louie, J., Chen, E. E., & Uchida, Y. (2007). Learning what feelings to desire: Socialization of ideal affect through children’s storybooks. Personality and Social Psychology Bulletin, 33, 17–30. Tsai, J. L., Miao, F. F., Seppala, E., Fung, H. H., & Yeung, D. (2007). Influence and adjustment goals: Sources of cultural differences in ideal affect. Journal of Personality and Social Psychology, 92, 1102–1117. Tsai, J. L., Sims, T., Thomas, E., & Fung, H. H. (2013). Ideal affect across the life span: A comparison of European American, Chinese American, and Hong Kong Chinese. Manuscript in progress. Weisz, J., Rothbaum, F., & Blackburn, T. (1984). Standing out and standing in: The psychology of control in American and Japan. American Psychologist, 39, 955–969. Yuki, M., Maddux, W. W., & Masuda, T. (2007). Are the windows to the soul the same in the East and West? Cultural differences in using the eyes and mouth as cues to recognize emotions in Japan and the United States. Journal of Experimental Social Psychology, 43(2), 303–311. Culture and Emotion by Jeanne Tsai is licensed under a Creative Commons Attribution-NonCommercial-ShareAlike 4.0 International License. Permissions beyond the scope of this license may be available in our Licensing Agreement.